In Australia it is mandatory for seafood to be labeled with its country of origin, which makes it easy to identify local versus imported. But why choose Endeavour Prawns over imported (and generally cheaper) prawns? Locally caught prawns mean jobs, income and gainful employment for fellow Australians. 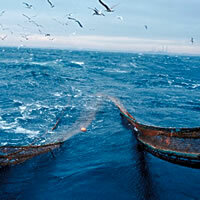 The prawn trawling industry contributes over 120 million dollars a year to the local economy. That’s reason enough to choose any Australian prawn, but why Endeavours? The big supermarkets rarely stock Endeavour Prawns. Most budget priced prawns are imported. You can see by the appearance of the kings and tigers why they would be more expensive than the imported prawns, but when you see the Endeavour next to the Vannemai, there's little significant difference in the way they look. As consumers we're always on the look out for value, and to see a $5, $10 or even $15 difference in price for products that essentially look the same, well any sane person would choose the cheaper option. Of course, there IS a world of difference. We would love to see more Endeavour Prawns in supermarkets, and you, the customer actually have great deal of influence in this area. We are working hard to convince the larger chains that Endeavours are a good thing, but if YOU ask for them... well, the customer is always right. When you are next at the supermarket, ask the person behind the deli counter if they have any Endeavour Prawns. If they say no, simply ask if they might be able to get some in the future. That's about it really. You have a right to purchase clean, better tasting product at a reasonable price. You may not think just asking for Endeavours can have an effect, but large companies do listen to their customers, and when other people join in, you can be assured that they will do something about it. ARE WE ON A MISSION TO ERADICATE IMPORTS? Not at all. This is not a campaign to ban imported prawns, but a simple encouragement for Queenslanders to eat more local product and ask their supermarkets to stock Endeavour Prawns. We all deserve access to locally caught disease and antibiotic free seafood. The flow-on effects to our economy are immense. And we as consumers have greater choice and access to better quality products. The Endeavour Prawn is the best tasting wild caught prawn in Australia, the "truffle of the sea" so to speak, when you think really think about it, don't you deserve the best? 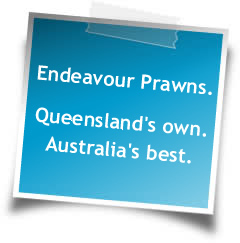 The Endeavour Prawns website is an initiative of the Queensland Seafood Marketers Association (QSMA). The Federal Fisheries Research and Development Corporation is a significant contributer to the Endeavour Prawns Cairns Test Market Campaign. 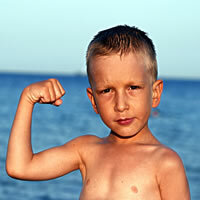 We thank them not only for the important funds, but also for some great images and information. For any queries or comments on this website, please contact Queensland Seafood Marketers Association by sending an email to: info@endeavourprawns.com.au - and eat more prawns, they're good for you!